Temple Tutwiler grew up in a wealthy family. His grandfather, after whom he had been named was a famed financier and his father was a successful industrialist in both coal and iron businesses. In 1935 the family embarked on a nearly month-long journey to Europe, including England and France. 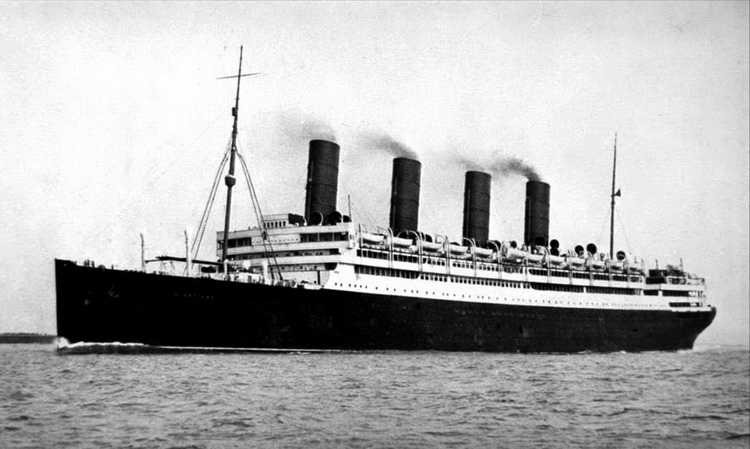 Little did they suspect that the 15-year-old Temple would less than a decade later return to those nations in uniform and that both of their chosen cruise liners would be plying the waters as troopships. 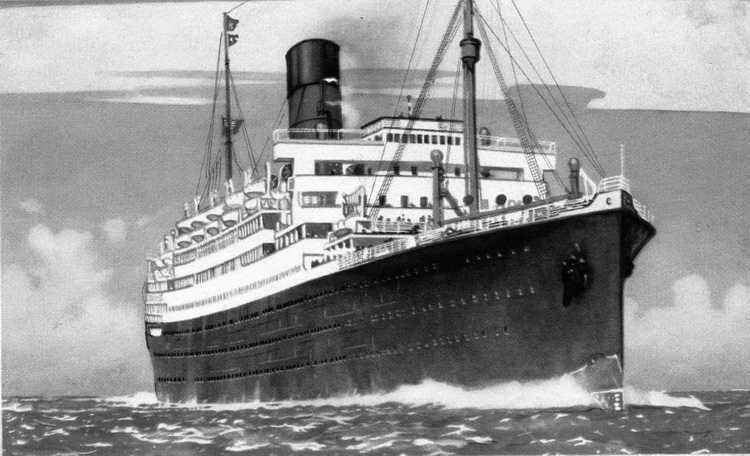 The RMS Samaria, launched in 1920, primarily served the Liverpool to Boston and New York route. 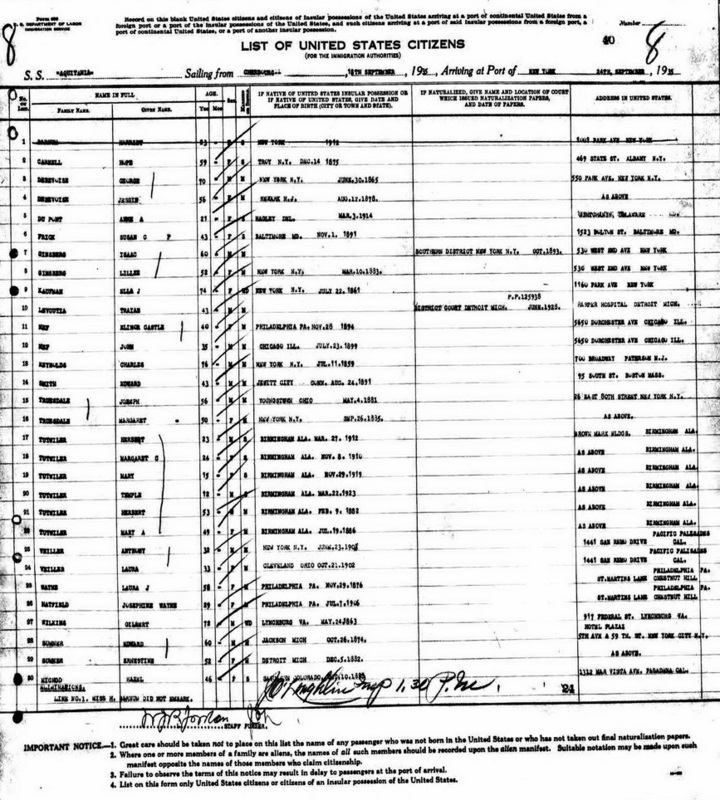 The Tutwiler family (lines 192-198] were listed with a contact through the American Express office, London They arrived in Liverpool on 19 August 1935. Cunard's RMS Aquitania was considered the most beautiful of Cunard’s trio of ships, including the Mauretania and the ill-fated Lusitania, in service in the early 1900’s. 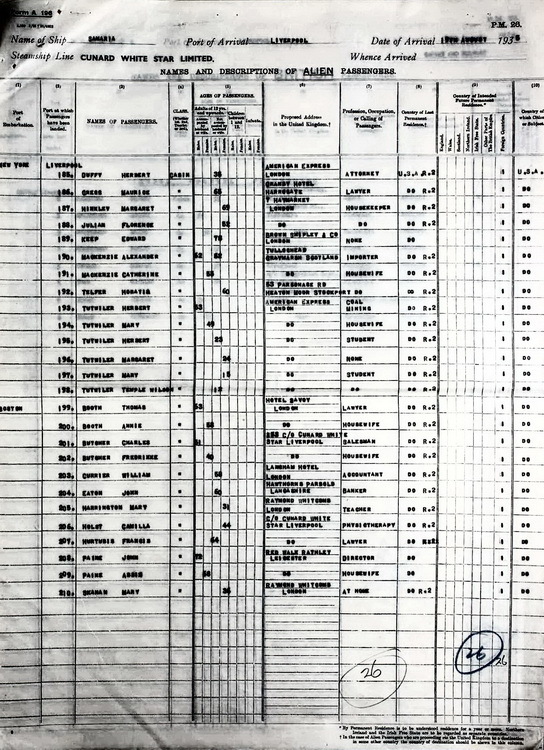 On the return manifest the family [lines 17-21] was documented as being from Birmingham, AL and arrived in NYC Harbor on 24 September 1935 after a 6 day run from Cherbourg. Grave marker for Temple W. Tutwiler in Elmwood Cemetery, Birmingham (Jefferson county), Alabama. 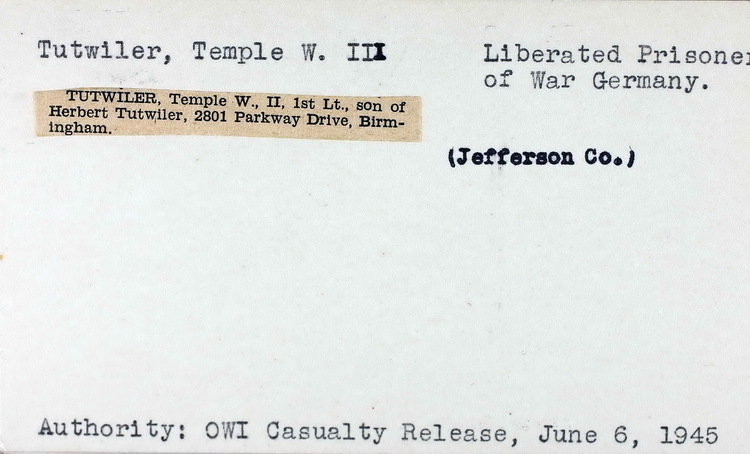 Temple joined the Army on 20 April 1942, probably in Birmingham, AL and volunteered for parachutist duty. On 16 October 1942 2/Lt Tutwiler was transferred from the 508th PIR to the 508th PIR as a member of the cadre team. 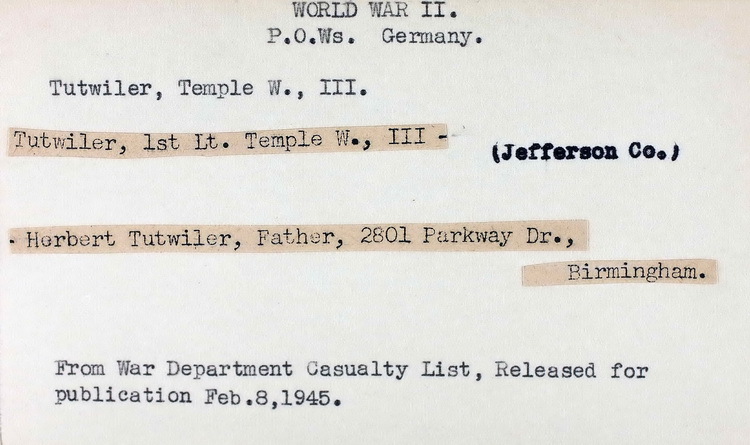 1/Lt Tutwiler was transferred to Hq 2nd on 31 March 1943. The Company D Morning Report listed h him as seriously wounded in action on 6 June 1944 and evacuated. He returned to duty on 14 July. 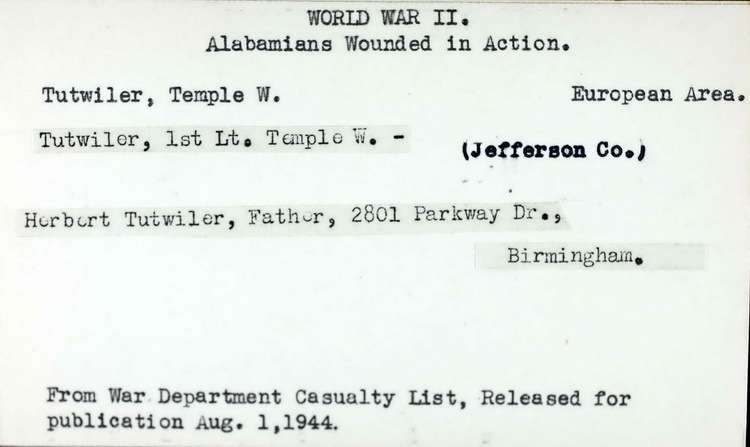 This card image is from the "Alabamians Wounded in Action" file and only documents the fact that he was wounded but not when and where. Lt Tutwiler made his second combat jump into Holland on 17 September 1944 and was captured that same day. Once again the Alabama card file recorded the event but not a date and place. In May or June of 1945 1/Lt Tutwiler was liberated from an unnamed prisoner of war camp. As was the case earlier, this record from the Alabama system indicates he was liberated but there is no action date shown. Lt Temple Tutwiler, II, has arrived in New York from the European theatre of war where for the last eight months of the war he was in a German prison camp. The text was apparently shared from the Birmingham News-Age Herald.